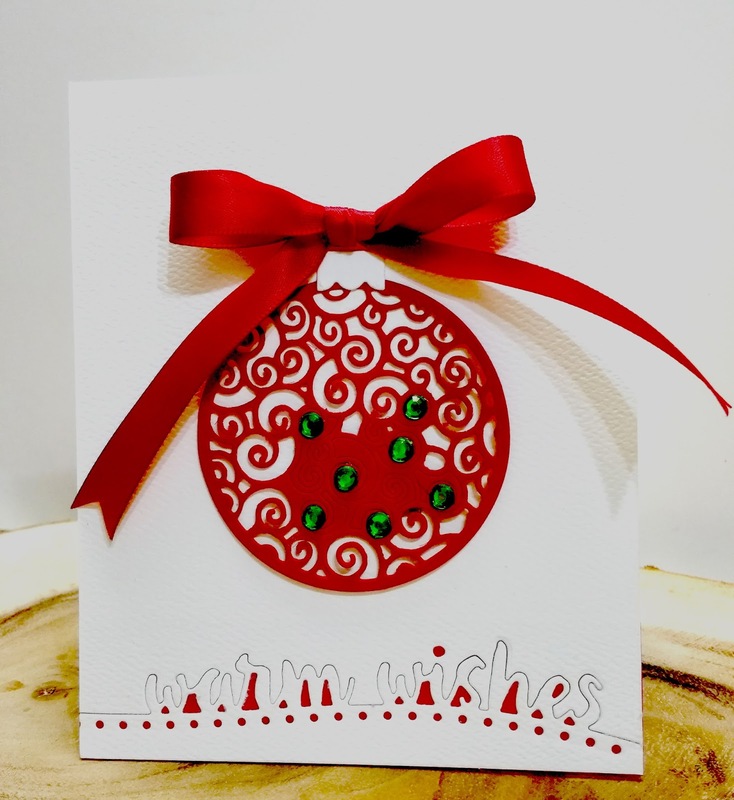 Hi Patricia here today with a Red & White Warm Wishes card. I love the white Christmas! But I love my Caribbean and sunny Christmas all over here. I like to use my dies in all different ways and today I used them as stencil and to die cut the ornament shape. I used the Warm Wishes Border from Memory Box for the bottom border of my card but did not die cut just made the impression and left it add the red border at the back for a negative effect. I also die cut the ornament from Impression Obsession but only part of it I left part of the center half without die cutting it and added some green rhinestones for the contrast effect. I would never stop making most of my Christmas card and sutff white, red and green those are Xmas colors for me! I accent it with the cute red bow on the top. This is so pretty Patricia! I love how you added red to just the negative spaces on the sentiment. What a fun and unexpected touch! Thanks for the inspiration!! A lovely CAS card Patricia, very striking in red and white! A great way to use the sentiment die too. so pretty, I like the effect on the sentiment! Very pretty card; like that ornament die too.